The co-opting of holy days into secular holidays often results in an emphasis on consumerism, which is contrary to the teachings of the Christian faith and has negative effects on the environment and those who call it home. Keep your Easter celebration a little more holistic this year with these simple suggestions. Buy eggs from a local farm with pasture-raised chickens. Look for biodegradable cardboard cartons instead of plastic or Styrofoam. Instead of using chemical dyes, create natural dyes from vegetables and spices. Don’t waste food! 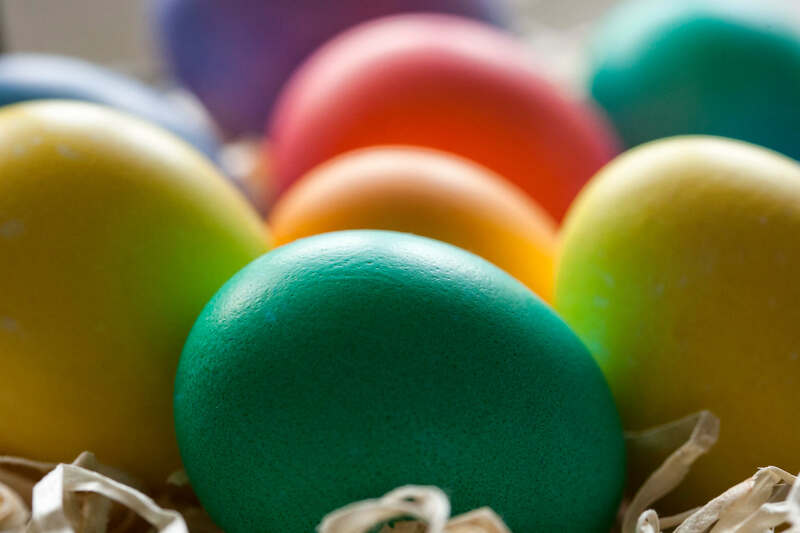 Use dyed eggs in recipes once you’re finished enjoying them as décor. Reuse plastic eggs and grass if you already own them. Most facilities can’t recycle these items. If purchasing new items, seek biodegradable options, like ecoeggs™ and ecograss™, which are made in the United States from plants. They look like plastic and are reusable. Use existing baskets, buckets or jars. If buying new, consider local artisans. Avoid useless trinkets and fill eggs with Fairtrade chocolates (support sustainable living), jellybeans and nuts (they don’t require individual wrappers), seeds to plant a garden, coins, and inspirational messages. Shop for local ingredients, which require less packaging and shipping. Use up dyed Easter eggs with a new recipe. Try to prepare the meal with zero-waste. Avoid single-use dishes and utensils. Separate food scraps for composting. Donate excess food or extra money not used on excess food to charity. —Originally published in the Spring 2017 issue of Vermont Catholic magazine.